Most of the people in India put their shifting plans in a cold baggage because of two main prominent reasons - they have a limited because of which they are not able to get affordable shifting service India for the hassle free goods transportation process. Another reason is that the individuals do not plan their relocation properly and they may have to suffer further inconvenience. In order to overcome this situation, it is highly important that you must plan your shifting in the off season i.e. 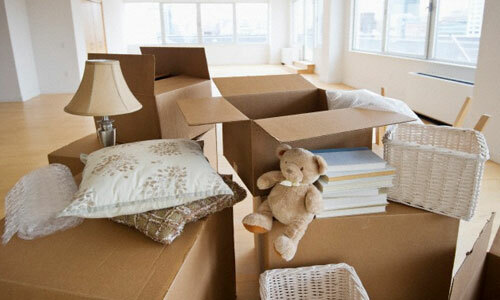 when the packers and movers service providers in India are not in a great demand and you also stand a chance to get a moving package according to your budget and save money. This is one of the most prominent advantages of planning shifting during the off season or better say winter months (November to February). In the summer season, the packers and movers companies in India increase their moving rates and this is also considered ad the busiest season for the service providers. So, if there is a possibility that relocation can be postponed to the off season, then do it without thinking twice. During the summer season, many movers and packers companies hire additional workforce to meet the demand. In such a situation, there are high percentage of chances that some of the labors may not be experienced or possess the desired skills to pack the goods efficiently. During the off peak season, you are guaranteed to get the full professional services of the workforce that work to the best of their potential to make your shifting easy. If you ask a large number of people, then they will say that it is a challenging task to move in the winter season because of the chilly winds and fog. They are quite right but if you look at another angle, then formulating a plan to shift in the winter season can also turn out to be quite beneficial. Just imagine the hardships you have to experience during the summer months, if you have to lift bulky furniture items or cardboard boxes. Hence, it is crystal-clear that relocating in the off peak season can turn out to be highly fruitful, especially for the people looking for the error-free shifting experience within their budget.